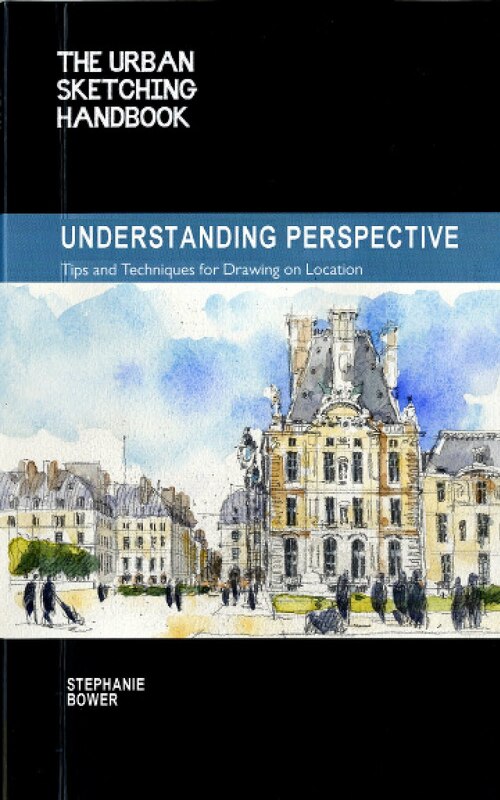 Sketching Tip #7: Stuck or Overwhelmed? You see the inspiring view, you figure out what angle you want, you sit down and... you are overwhelmed and stuck. Has this happened to you? It happens to me all the time. That blank sheet of paper in your sketchbook is a whole lot of unknowns, and that's where the fear and panic come from. One of the best ways to get around this freeze is instead of jumping in with both feet, dip your toe in. I do this by drawing thumbnail sketches. Thumbnails are small sketches about the size of a large postage stamp to a note card. In my thumbnails, I figure out the simple perspective, draw in the big shapes, and sometimes add tone for lights/ darks or even add color! For one, it's so small, you simply cannot put any detail in. This is a good thing, as detail at the beginning of a sketch is something of a rabbit hole... you go down it and suddenly an hour has passed! 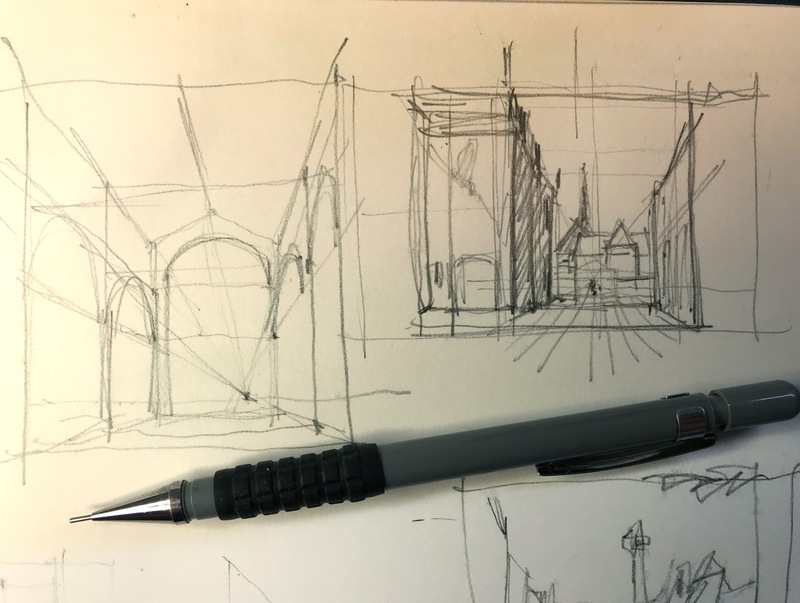 For me, sketching is less about capturing the detail than it is about capturing the sense of architecture and space, so avoiding detail at the beginning really helps. Two, a thumbnail helps you figure out the solutions to a bunch of problems before you are too deep into your sketch, especially issues of composition. It's easy to crop your thumbnail several different ways to see what works best. I often have lots of thumbnails doodled in the back of my sketchbook for just this reason. These are thumbnail sketches in the back of my sketchbook. I use these to figure out perspective and also where to crop my future sketch for a good composition. Three, and probably the best reason of all, doing a thumbnail helps calm your mind. Instead of panicking (as I confess I often do), you take deep breathes and sort it out. 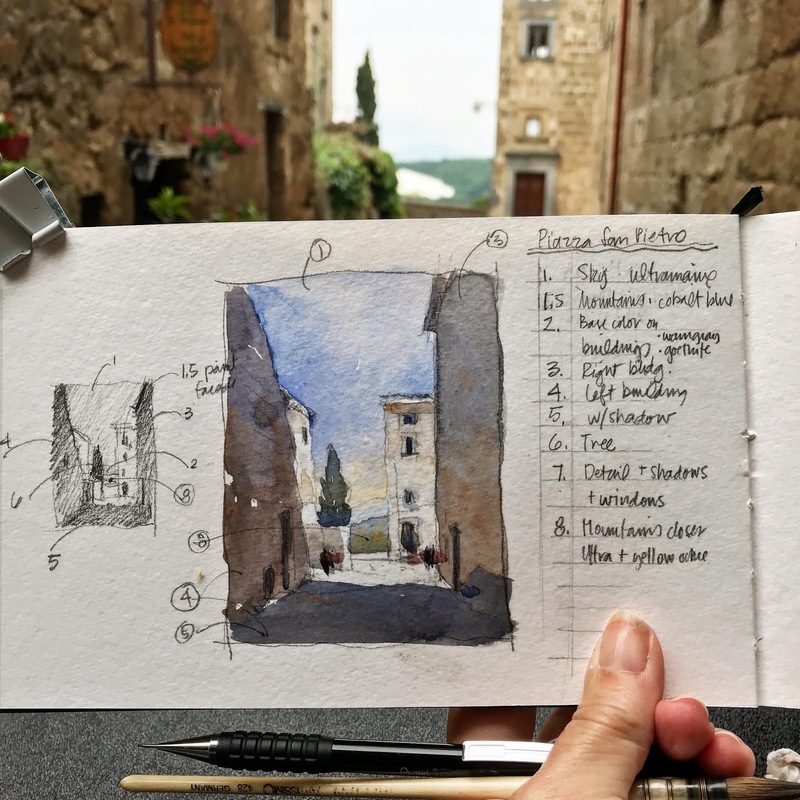 Once you've settled into the sketching "flow", it's easier to move on to your sketch. I have started to use thumbnails as a way to explain my sketching process as I'm teaching. I even number each step and write notes...this is super helpful for sorting out the layering process of watercolor! This is the thumbnail with notes on the left, and the finished sketch on the right. 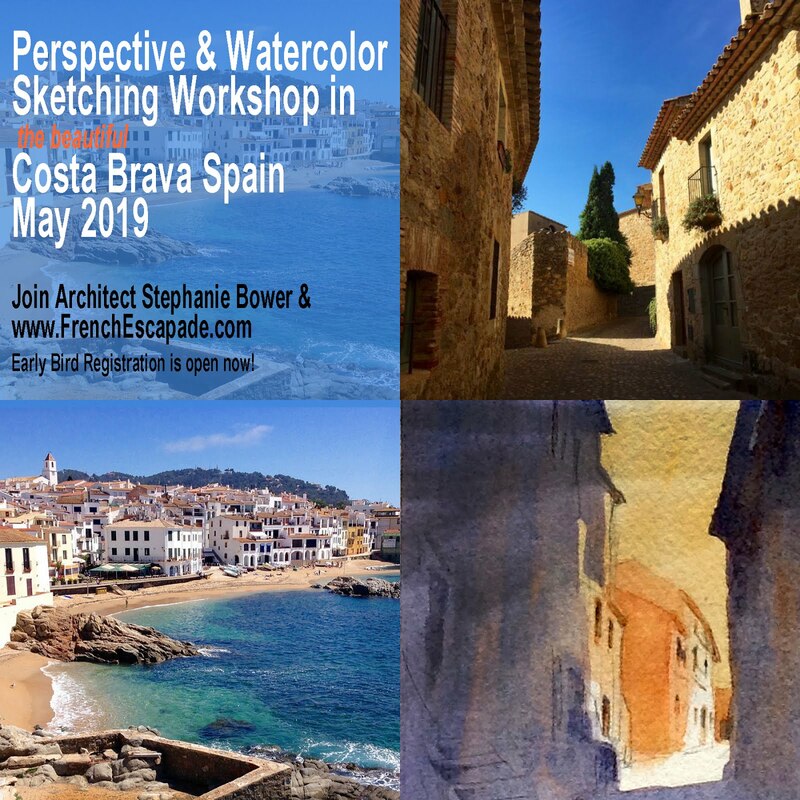 A demo for my annual workshop in Italy, DRAW CIVITA 2018. Thumbnails should be very quick, a few minutes at the most. They are simply a tool to help you dip that toe into the water before you jump in!!! I am so engrossed in this tips series!! so much good info, Thanks!! Great tip Stephanie! Ive been combining this with another trick when I am feeling overwhelmed - take out your phone and snap a picture, then glance at it as you make the thumbnail. Helps to nail proportions and really see the perspective, then do the full size sketch entirely from life. Thanks, Nicholas...good approach. I do this sometimes too! The photo flattens out the view for us and makes it a little easier to digest! Thanks for writing!